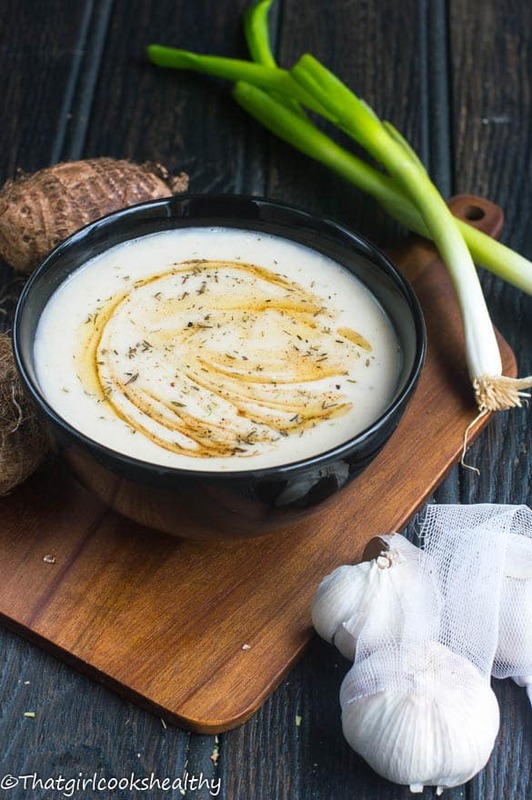 Crema de malanga – A rich, creamy, comforting popular vegan style Latin American soup that’s made from the yautia root vegetable. 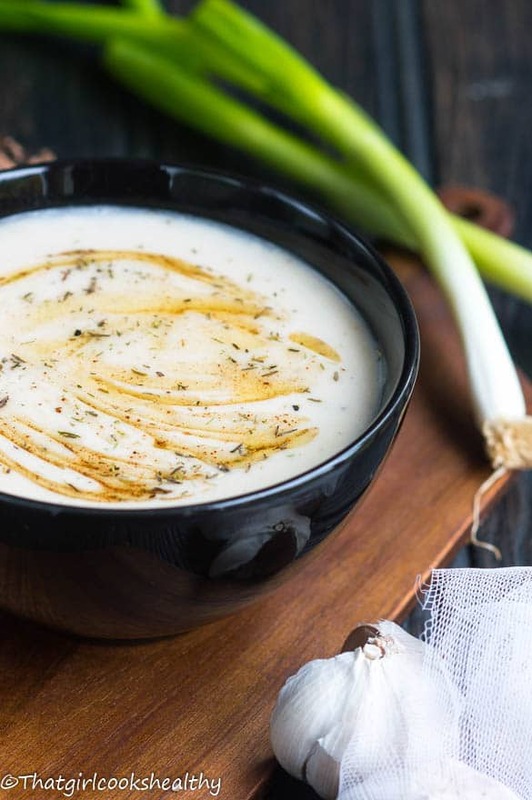 Now that the weather is on the decline, it’s time to move away from the light salads and turn to some comfort food like this crema de malanga. 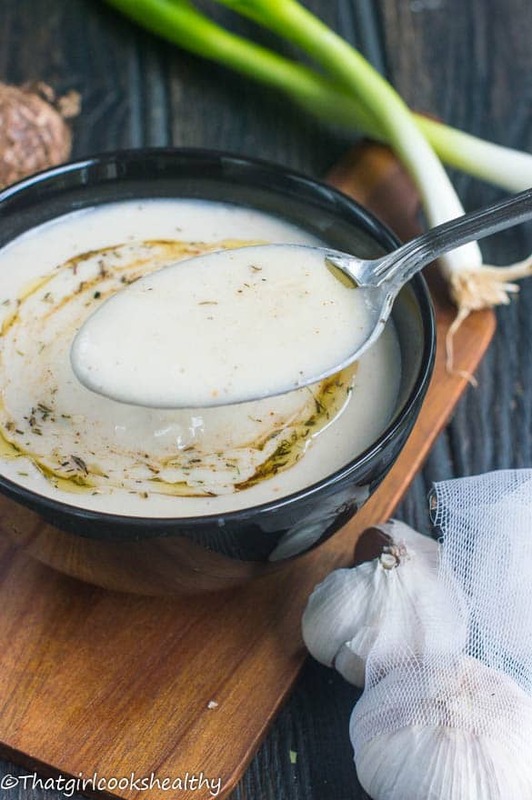 It’s delicious soup that’s full of flavour and straight out of the tropical islands. If you love those bold Caribbean flavour then this malanga recipe won’t disappoint. What is crema de malanga? Now let’s get the ball rolling with this wonderful latin American soup. 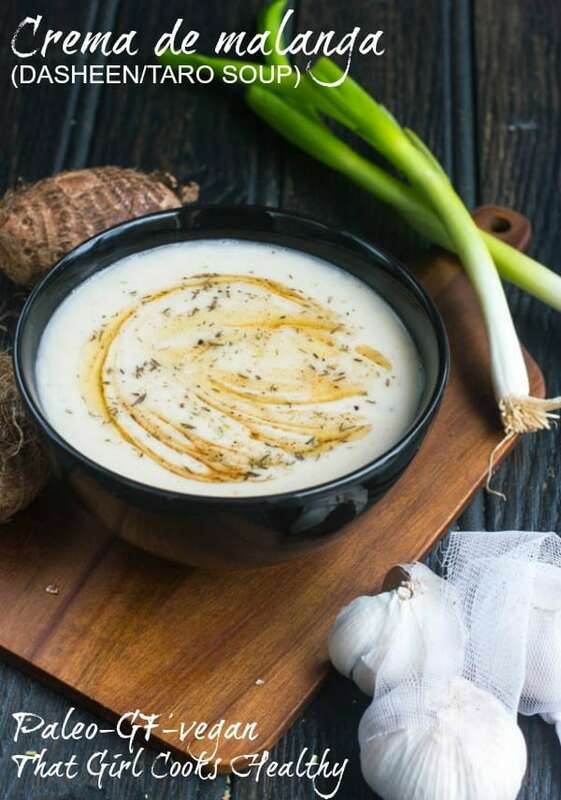 Crema de malanga is also known as yautia or sopa de malanga is a white velvet soup made from a starchy vegetable named taro which Latinos refer to as either Yautia or Malanga. Being from the English speaking Caribbean Island I’ve come to realise that the aforementioned is just another type of dasheen (taro). 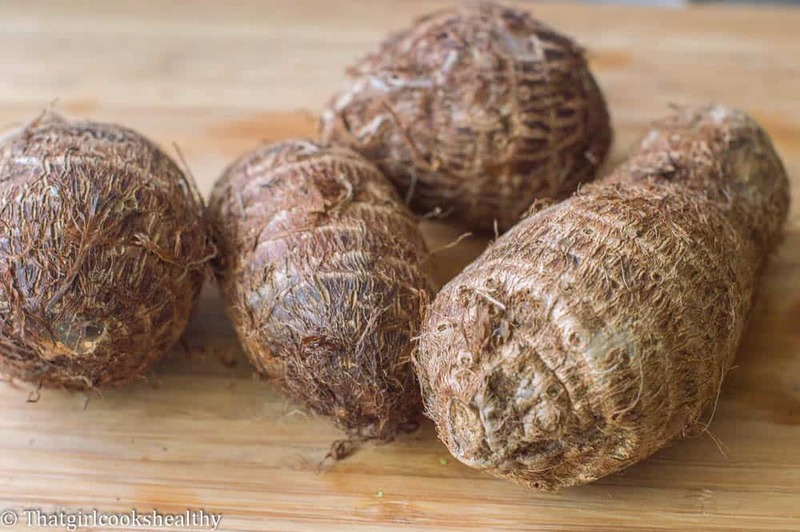 Only Yautia/Malanga is elongated in shape and a slightly bumpy/patchy brown in texture. The flesh can range from yellow, white, pink or even a purplish hue. Dasheen, on the other hand, bears the same brown exterior, only small in size with flesh that ranges from white to a cream yellow. Eddo is another type of taro that tends to grow on the Asian continent, it’s the smallest taro of the bunch, it looks like a tiny brown fur ball and slippery when peeled. If you live in a diverse city with Black/Latino population then you should be able to find it quite easily. Remember it goes by various name so ask if you’re unsure. Ive enclosed a picture so you know what to look for. All international/ethnic groceries should stock it. Don’t worry if you can’t tell them apart they all share the same nutritional properties – (Vitamin B5 and B6) dietary fiber, zinc, iron, and a healthy source of potassium. Feel free to use any type of taro you see fit for my recipe, there won’t be much difference in taste. Cut and boil the malanga – the skin needs to be peeled in its entirety before you can proceed with boiling. Making adaptations for extra flavour – I adapted the recipe according to my preference – adding some homemade vegetable stock with a small amount of thyme. 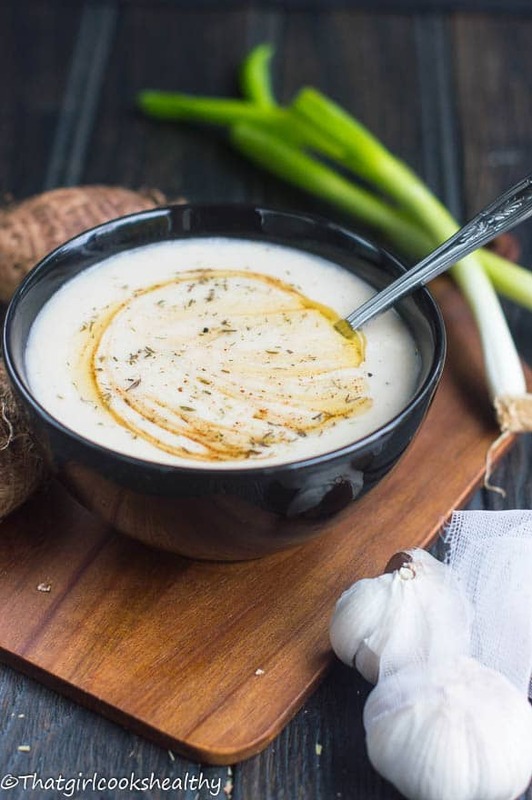 Other soup variations call for stock or simply rely on the coconut milk for enhanced flavour. The end result – The consistency of crema de yautia/malanga is creamy and with a mild nutty taste which imparts from the cooking process. 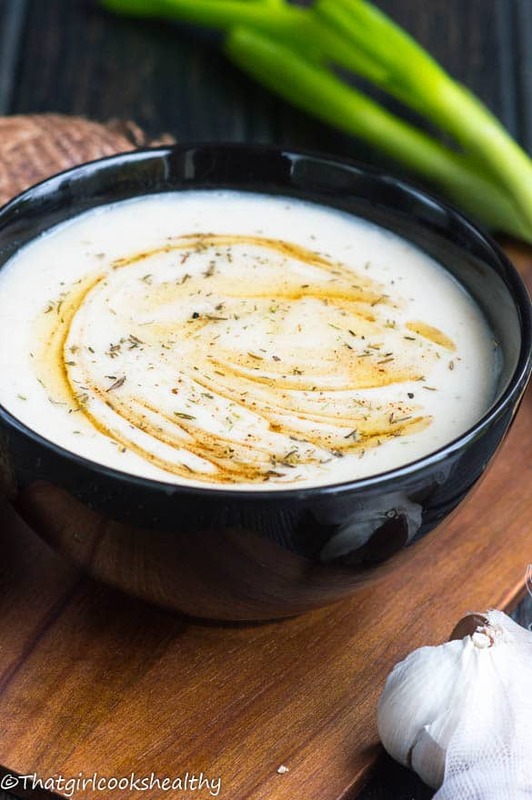 Texture – This soup is quite dense and very filling – just remember it’s not made from processed foods and all the ingredients are made from scratch. Begin to peel, cut and thoroughly rinse the dasheen (yautia). Pour the vegetable stock into a medium saucepan with the dasheen pieces. Bring to the boil before reducing the flame to medium-low heat then cover with the lid. Cook the dasheen until tender, prick with a folk to determine tenderness (should take roughly 8-10 minutes). Meanwhile sautee the onions and garlic on low-medium heat until slightly golden. Add the sauteed ingredients to the saucepan and stir. Continue to simmer for a further 5 minutes and season with the pink salt, pepper and thyme. Finally stir into the coconut milk. Carefully transfer the hot contents into a food processor or blender. You want to achieve a smooth consistency. Once a smooth consistency is achieved either serve with a pinch of nutmeg or pour the cream into a saucepan to heat further before serving with the nutmeg garnish. This is exactly the type of food I want to sit down and enjoy on a cold winter day – I need to go run to the market now and but some yautia so I can make this. Lovely! Yes, this sure is comfort food. Thanks for commenting. This sounds delicious. What do you eat on the side with this? Thank you. 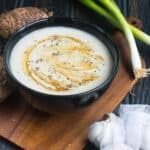 Typically you won’t find many Caribbean soup recipes with a side serving, you can however feel free to mop the soup up with some gluten free bread. I’m very intrigued by this soup – I’ve had taro a few times and enjoyed it, but I’ve never cooked with it myself. It’s on my shopping list to hunt some down! Glad to have you on board Natalie. I would love to get some feedback or a picture of the final result. I’m sure you will enjoy this soup. Delicious and looks good too – It’s been a cold wet day and this recipe is just what the weather ordered. It was quick and filling. I added some white fish and finely chopped sorrel as a garnish. Thanks Charlene . Hi Oreke, so glad you enjoyed the soup. The white fish and sorrel addition sounds wonderful.